Did you know that you can take photo or "screenshot" of anything you see on your iPad. This handy trick will help you collect evidence of student work, archive important information or create learning resources for your students. 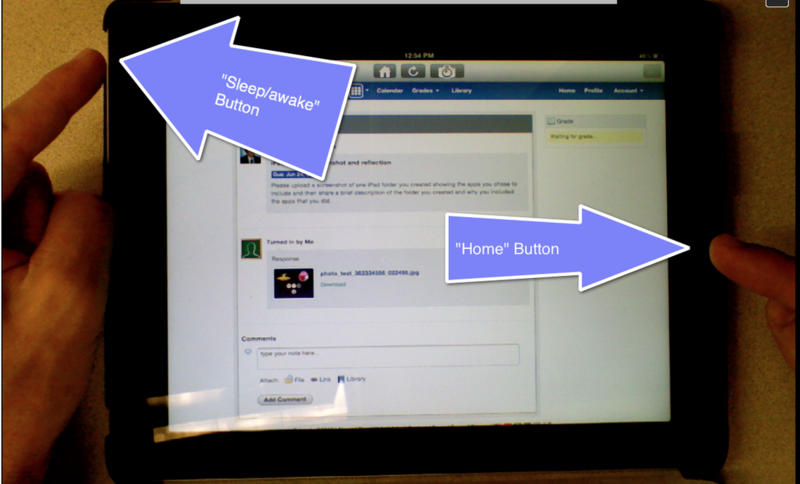 Locate the "home" button and the "sleep/awake" button on the iPad. Press both button simultaneously for aproximately 2 seconds and then let go at the same time. The iPad screen should flash white once and a shutter click sound will be audible if the volume is up.